One of our favs is back! 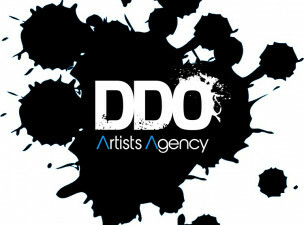 Legit Agent Irene Cabrera of DDO Artists, a leading bi-coastal agency, is returning to One on One. Irene's clients have recently booked NBC's The Blacklist, Gotham, Netflix's The Get Down, She's Gotta Have It, All Eyez on Me, CBS's Bull, as well as Broadway's Hamilton, An American Paris, The Color Purple, and Spongebob Squarepants. Please note that Irene Cabrera does "full service" in-house representation and will not work with other representation (i.e. commercial rep, managers). Irene Cabrera is an agent at DDO Artists Agency (NYC), a boutique agency representing actors, singers, and dancers for theater, film, and television. Over the past few years, Irene has developed a first-class roster that can be seen on Broadway and Off-Broadway stages, in regional, touring, and international productions, and on episodic television and films. She has been instrumental in launching DDO’s children’s department. Prior to joining DDO, she was a producer and an artist manager, with a passionate commitment to nurturing artists of color and championing work that expands boundaries of race, gender, and identity. She worked with visionary writer/director/producer George C. Wolfe at The Public Theater for 14 years. She began as co-founder of The Public’s Community Affairs department, a nationwide model for audience development, and went on to become a key member of the producing team on countless award-winning plays and musicals, working with some of the finest artists working today, such as Tony Kushner, Jeanine Tesori, Suzan-Lori Parks, and Nilo Cruz. Launching George C. Wolfe’s independent production company, ColorMad Productions, she worked on his film LACKAWANNA BLUES for HBO and Rosie Perez’s documentary YO SOY BORICUA for IFC. She went on to develop and produce music, stage, and television projects with Grammy Award-winning musician/activist Dan Zanes. She is currently working on the pre-production of BLACK GIRL, YOU'VE BEEN GENTRIFIED, a television pilot with Epoch Films. Irene moved to the United States from her native Puerto Rico in 1984. She was named Personaje de la Semana, and Top 50 Latinas of the Year by El Diario La Prensa for her commitment to developing and producing works of artists of color. She was also featured in Latina Magazine’s Latina Mothers in America. She lives in New York City with her husband (tap dancer/choreographer Derick K. Grant) and their two teenage children. Recent client bookings include: BULL, THE GET DOWN, BLACKLIST, GOTHAM, ALL EYEZ ON ME, and Broadway's HAMILTON, THE COLOR PURPLE, AN AMERICAN IN PARIS, SPONGEBOB. Most recently, Irene's client Josh Andres booked the role of Chino in the Steven Spielberg remake of West Side Story!